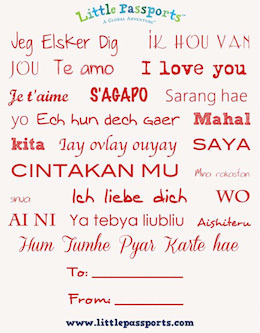 How many ways to do you know how to say "I love you?" this Valentine's Day? Disclosure: I'm a Little Passports affiliate and this post contains affiliate links. But really I just wanted to pass on this free deal to you. Happy Valentine's Day!